As usual I seem to be out of sync with the current pop culture climate – of the most recent movies I’ve gone out to see, I enjoyed a colossal box office bomb, had serious reservations about the year’s biggest success to date, and most appreciated a low budget genre movie by a first-time director. Andrew Stanton’s John Carter is a huge, effects-laden piece of pulp fantasy based on the first novel by Edgar Rice Burroughs, A Princess of Mars, published in 1912, the same year as the first Tarzan book. 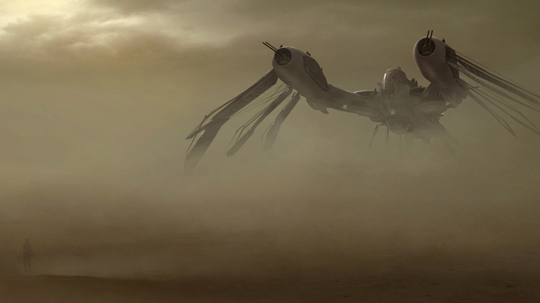 Although the movie is full of derivative elements (inevitable since Burroughs’ novels pretty much defined the genre), it’s imaginatively designed, begins and ends with a nice period feel, and offers a lot of swashbuckling action on the Red Planet. It’s certainly more entertaining than some far more successful movies (Transformers anyone?). But then I’m an old guy and pulp sci-fi and fantasy like this is what I grew up on. How many younger viewers today know of or care about Burroughs and his kind? So, maybe John Carter bombed so spectacularly because it’s an unknown brand and carries no built-in interest for a contemporary audience. The Hunger Games, on the other hand, is very much a known brand, with the trilogy of young adult novels by Suzanne Collins selling millions of copies in multiple languages. As with the Harry Potter movies, there was a massive built-in audience eager to see the first movie, boosting it to one of the highest-grossing opening weekends ever. So – a known brand, but what exactly is the appeal? 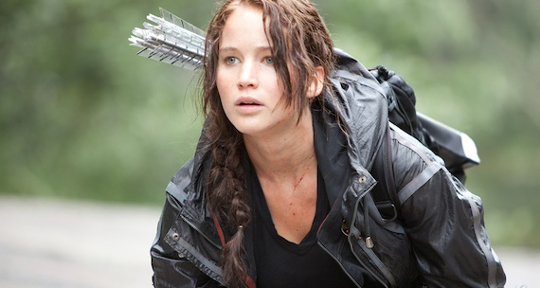 Young readers get to identify with the plucky heroine Katniss Everdeen, a teenager like themselves struggling with identity issues, emotional conflicts, feelings of adolescent rebellion … all while fighting for her life in a “game” which involves 24 kids forced to kill each other for the amusement of a jaded ruling class in a dystopian future. By taking random children from their homes and televising their deaths, the population of the Capitol want to constantly remind the underclass in outlying areas that they were defeated years ago in a civil war. It’s a ritual lesson in powerlessness. Although Jennifer Lawrence as Katniss provides an engaging centre to the movie, the script and direction are rather erratic. Director Gary Ross (not noted for any hard edges in his previous work, Pleasantville  and Seabiscuit ) creates a convincingly grim Appalachian region where Katniss struggles to survive with her beaten-down mother and younger sister, but the Capitol is so cartoonishly designed that it pushes the film closer to comedy than cautionary satire. Although I must admit that I would probably have enjoyed a movie centred on Stanley Tucci’s media star Caesar Flickerman and Toby Jones’ Claudius Templesmith more than the one Ross has given us. In order to get at what bothered me about The Hunger Games, it’s useful to compare it with another film about a society which places its children in a murderous game, Kinji Fukasaku’s Battle Royale (2000). In a near future Japan, the political, social and economic system has failed and the ties that should bind the generations are irrevocably broken. The young have lost the traditional deference towards and respect for their elders and no longer listen to what they’re being told. Their elders use this as an excuse to blame the young for all of society’s problems and, in a grim extension of their initial failure to maintain a functioning society, turn against their own children by enacting the vicious Battle Royale law … “you don’t respect us, so we’ll make you kill each other off.” Battle Royale is a bleak allegory of the destructive pressures Japan has put on its children for decades. The biggest difference between the two movies, apart from the graphic, less sanitized violence of Battle Royale, is the fact that Fukasaku’s film humanizes all the kids. They’re regular teens, with all the emotional and psychological stresses of that group, capable of behaving badly or nobly, sometimes both, and each death is felt as painful, tragic and senseless. But in The Hunger Games, apart from Katniss and her friend Peeta (Josh Hutcherson), we learn almost nothing about the other “players”. Their deaths are barely glanced at (no doubt to avoid traumatizing the anticipated young audience). 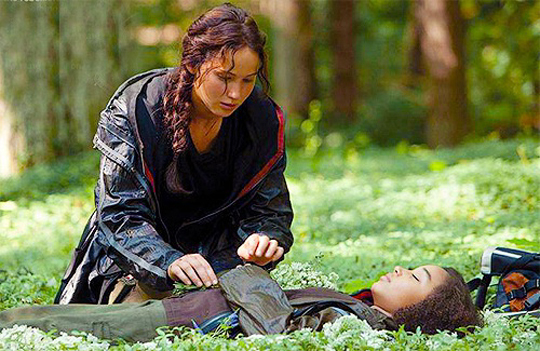 Only once does the movie pause to take note of a death, when the young girl Rue (Amandla Stenberg) is killed … because she’s so young and vulnerable and had come under Katniss’ protection. The rest of the players are either faceless non-entities or seen as villainous because they want to kill our heroine. And because Katniss is unequivocally the heroine, she magically manages to survive without having to compromise herself by committing horrible acts of her own (in Battle Royale the kids are traumatized, even driven insane, by the violence they’re forced to commit). 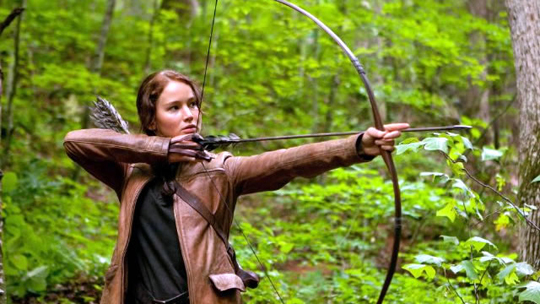 At one point she sics some wasps on her persecutors and she does shoot with her bow the boy who kills Rue, an act of pure instinct and entirely blameless in the film’s terms. Although Battle Royale is far more graphically violent, what makes The Hunger Games a nastier movie is the notable lack of sympathy for the other players who, after all, have themselves been forced into this situation, and like Katniss are just trying to survive. There’s also the psychological implausibility in The Hunger Games of the “bad” kids banding together into a vicious hunting pack – despite the fact that they all must know that at some point they’ll be forced to kill each other. In Battle Royale, when the kids form small groups it’s for more plausible reasons: the nerds get together to try to work out a way of subverting the game so that everyone can survive; a group of girls come together because they simply refuse to kill anyone; the three main protagonists join forces because at least for a while survival is more likely if they stick together, and the simple act of staying together is a moral repudiation of the game that’s been imposed on them. When the forces at work in the game defeat each of these groups in turn, again it’s felt as a tragic and senseless waste. A lot of commentators have been fretting about the dangerous effect The Hunger Games will have on its young target audience – perhaps a rather odd concern given the violence-permeated nature of popular entertainment to which those same kids are continuously exposed (TV, movies, music, video games). For me what’s really insidious about the movie isn’t the violence itself but rather the turning of the other kids into generic threats who deserve to be killed in order to preserve the life of the one character we want to see survive. 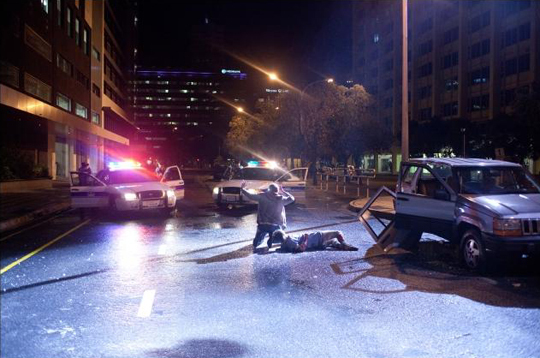 Teen angst and violence are also the substance of Josh Trank’s Chronicle. Three high school seniors, Matt (Alex Russell), Steve (Michael B. Jordan) and Andrew (Dane DeHaan), encounter what appears to be an alien artifact which emits some kind of pulse. When they regain consciousness, they discover that they are gradually acquiring telekinetic powers. These abilities provide them with a great deal of amusement, playing tricks on unsuspecting strangers, learning to fly … it’s a secret which ties them together as a group, until it starts to become a burden. The problem is the emotionally unstable Andrew, an insecure loner, bullied by his peers and abused by his alcoholic father. His new gifts give him the first taste of personal power he’s ever experienced, which is initially exhilarating, but gradually becomes dangerous as he realizes that he can go against the “rules” Matt and Steve have established and use those powers against his tormentors. Skillfully made on a fairly low budget, Chronicle effectively becomes a psychologically realistic depiction of the birth of a classic “super villain” (far more effective than James Franco’s transformation into the Goblin in Spider-Man 3). 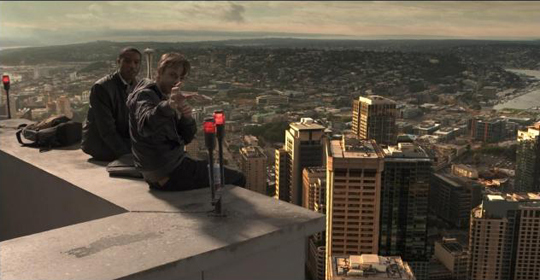 Chronicle is made in the shaky-cam, found-footage style and for once this is thematically valid. Andrew begins filming his life as a defence against his father’s violence, discovering that the camera can actually offer a buffer between himself and those who torment him. The style, as it does when used well, gives the film’s events a sense of naturalness and authenticity, faltering only in the climactic sequence when director Trank suddenly breaks out of the restrictions and gives us heavily edited action which obviously uses multiple cameras. But by that point the audience is so engaged with the characters that the violation of technique gets a pass. 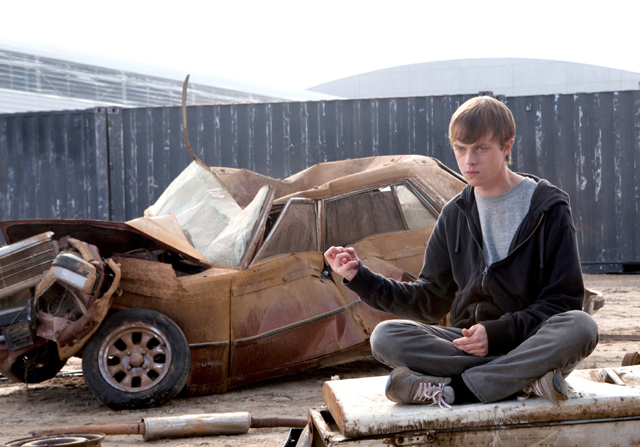 Chronicle is more thoughtful and genuinely entertaining than the two far bigger and more ambitious movies I saw in the past month. The effects work, including various examples of telekinesis and extensive flying sequences, is all well-executed, and the performances are nuanced and convincing, with DeHaan a standout in the more complex role. This entry was posted in Review and tagged Fantasy, Found-footage, Review, Satire, Science Fiction, Violence. Bookmark the permalink.